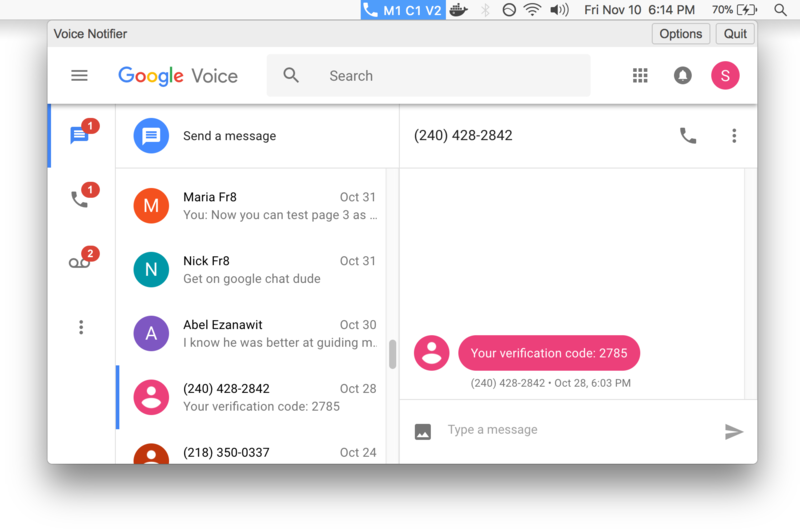 Access Google Voice website from the menu bar of your mac. No need to have Google voice extension installed or even to have chrome open or installed. ⌘ + u to quickly open voice notifies, or assign your own shortcut.